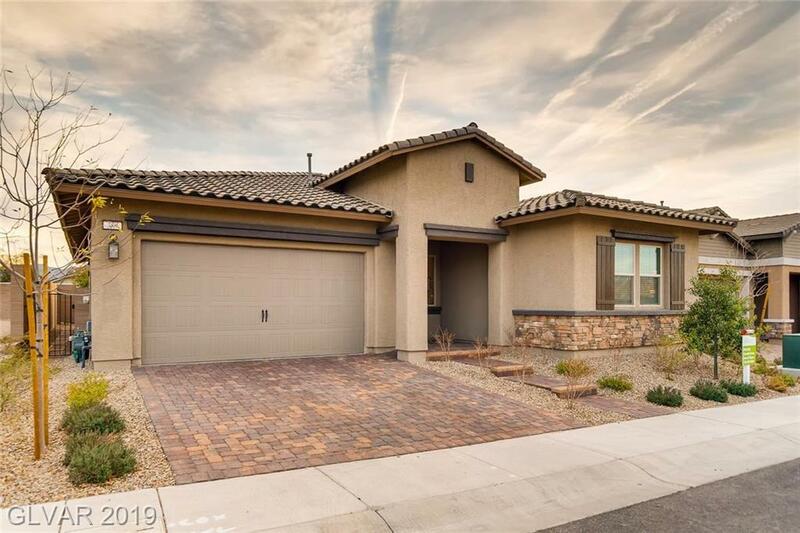 Beautiful single story home in Heritage, Spacious kitchen, dining area and living room. Very open concept. Granite countertops and large island kitchen. Over $20,000 spent in upgraded water resistant wood laminate flooring which is throughout the home. Large covered patio BBQ Stub and landscaped yard with accent lighting. WELL BELOW NEW MODELS. SELLER IS MOTIVATED. Seller will credit Buyer $3,000 towards Closing if COE is by April 25, 2109. Directions: Take 215 East To Lake Mead Parkway. Left On Cadence Crest. Right On New Heritage, Left On Small Robin, Left On Rose Apple, Right On Stetson Creek. Property Is The Left.